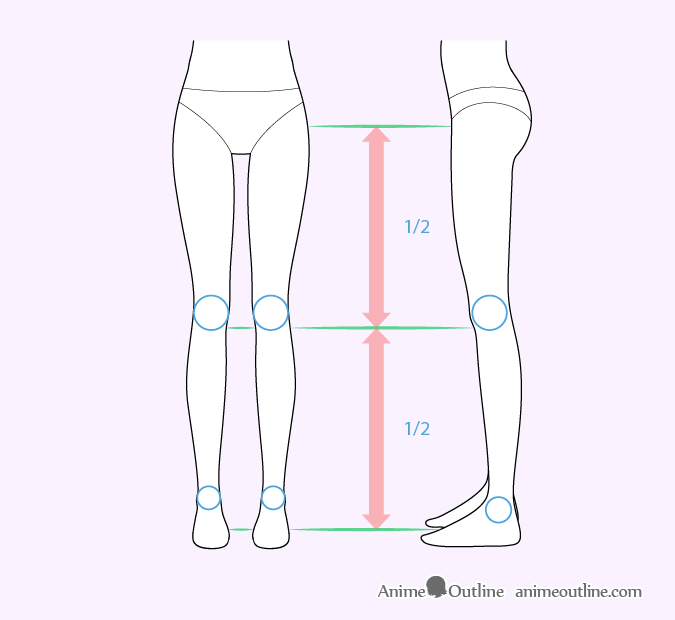 This tutorial explains how to draw female anime legs with a step by step proportions and shape breakdown of the front and side view. 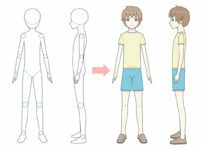 Generally legs in the more common anime and manga styles are drawn fairly similar to real legs. 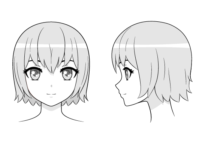 For this tutorial we will be using an example of a more realistic and more common style of female anime legs. 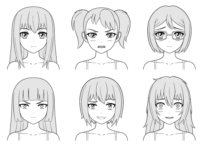 As already mentioned the proportions of the common style anime and manga legs are very similar to real legs. Generally the area of the legs going from the slightly above the bottom of the body to the bottom of the knees will be about as tall as the area from below the knees to the bottom of the feet. Please note that the above example takes perspective into account which means that the back leg in the side view example is drawn smaller than the front leg and why the line indicating the bottom of the legs is actually slightly above the toes in the front view. In the front view the legs sort of curve inwards towards the center of the body and then curve outwards and back inwards past the knees. In the side view the legs curve backwards and then forwards from the knees down. 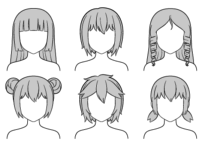 Generally female legs are a set of fairly smooth curves (especially so in the anime and manga style). 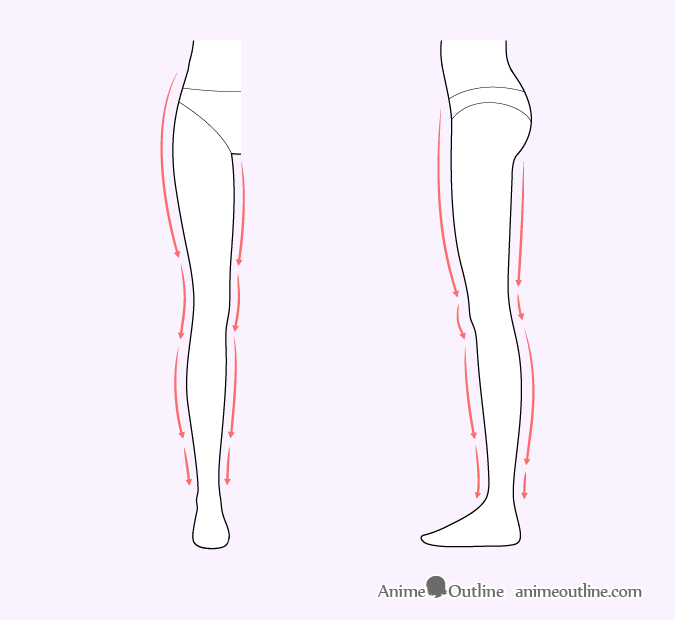 Though different anime characters can have different looking legs (thinner, thicker, muscular, etc…) you can use the above above illustration as an example of some general curves of the legs. 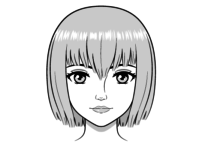 Keeping all of the proportions and curves in mind you can draw the outer shape of the legs and then add the smaller details such as hints of the knees and ankle bones. 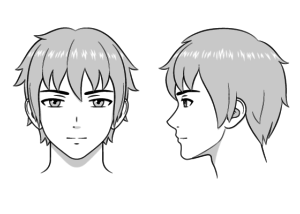 If drawing on paper be sure to first make light lines and then go over your drawing with darker lines when you feel that you have the correct proportions. 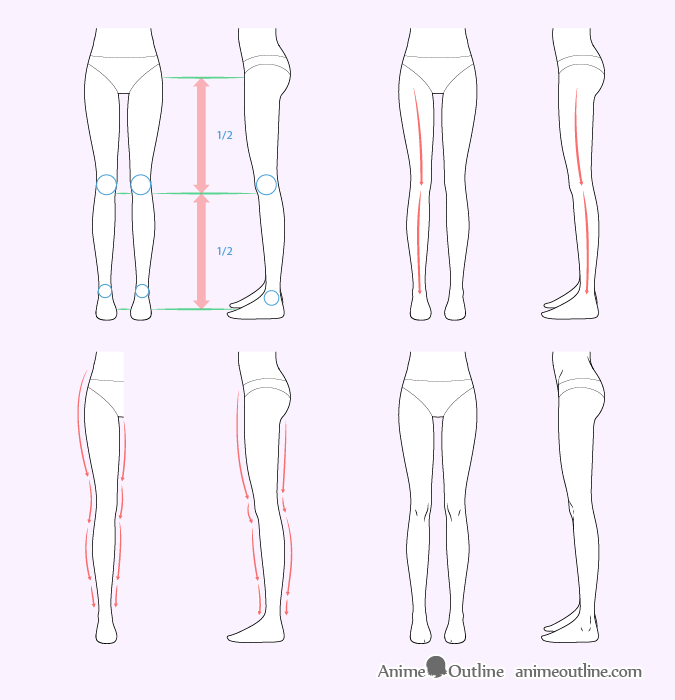 This tutorial covers the basics of the shape and proportions of anime and manga style legs legs. 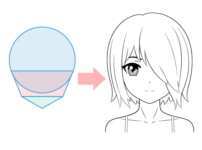 As already mentioned anime legs are often the same as real legs. This means that if you ever need more reference for drawing legs in a particular position you can always look at some real photos.